Here’s a Paleo and kid-friendly treat for you and your family! My kids love to play out in the snow in the wintertime, and they equally love to get a cup of hot cocoa when they come back in! 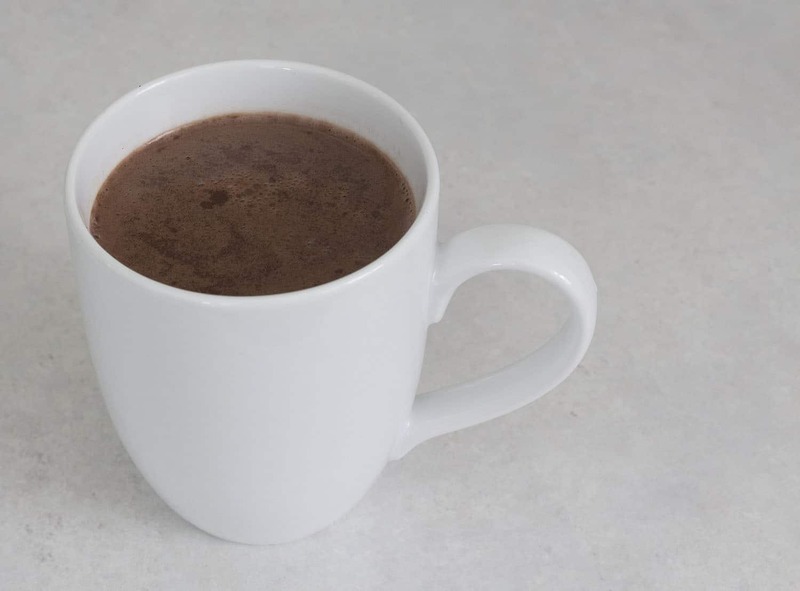 Dairy-free hot chocolate is hard to find in a pre-made mix, but it is super easy to whip up on the stove. 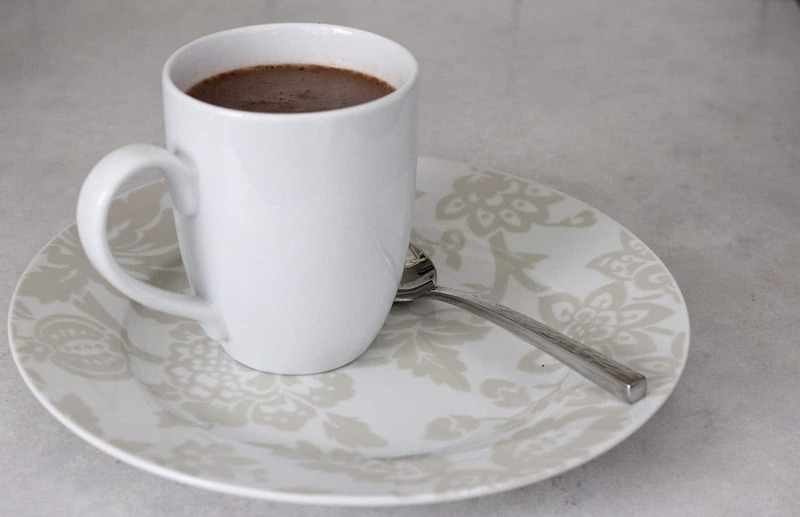 Paleo hot chocolate is gluten-free, dairy-free, and grain-free! For more Paleo recipe ideas, follow me on Pinterest! This is one area I have a little bit of guilt over in regards to this Paleo lifestyle: my kids missing out. I know the health facts. 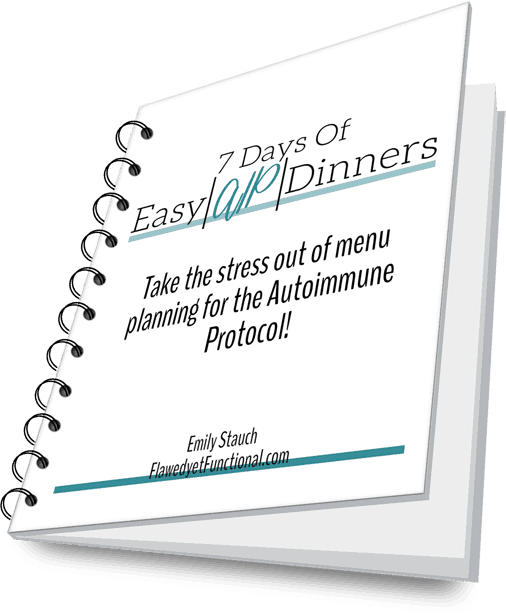 I know I am setting them up for the healthiest, longest, disease-free life with this diet and lifestyle. And yet, it is still hard to tell them no. No, you can’t have animal crackers at Bible study. No, you can’t have half of your Halloween candy. No, you can’t have those florescent cupcakes and pizza at the birthday party. It is just hard to say no even when I know it’s the right thing to do. I KNOW those things aren’t good for them (even the gluten, grain, and dairy-free Halloween candy isn’t good for them! ), but it tastes good. I know it does. They know it does. They are really so good and understanding of why we eat the way we eat, but it is still hard for this momma at times. So…today…I want to share with you my version of hot chocolate. I make this Paleo-friendly version so my kids can experience that sweet chocolate-y warm goodness when they come in from playing in the snow. It’s still has sugar in it, so this isn’t a healthy recipe by any means, but it’s a treat that I like to indulge my kids with so they have part of a normal childhood. It is still rich and chocolate-y, just like regular hot chocolate. Depending on your choice of sugar and milk, the flavor will be slightly different, but this recipe is very flexible. Use the milk and sugar of your choice, just keep the ratios the same. I use almond milk which give a nice nutty depth of flavor. I haven’t tried with coconut milk, but I’m sure that would be great too! Kid-friendly, dairy-free hot chocolate for the whole family to enjoy! 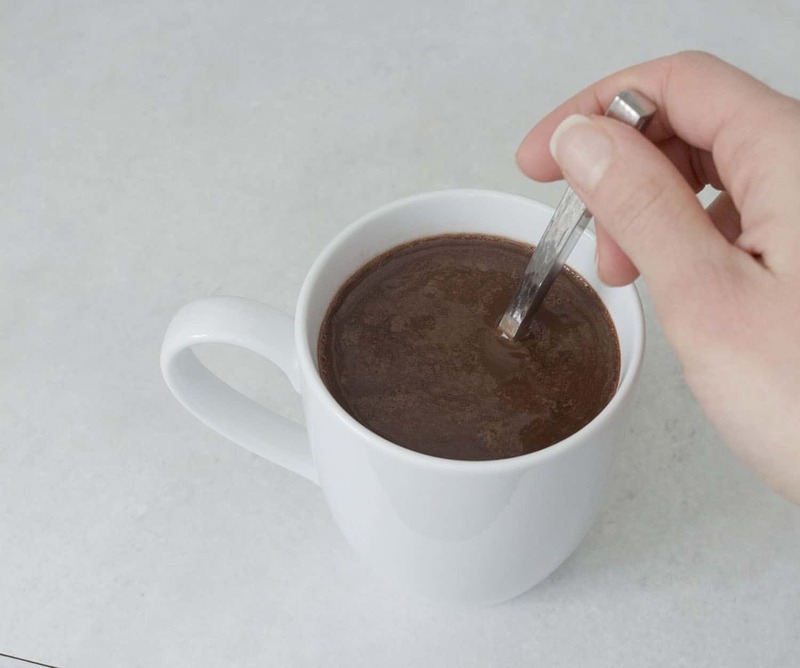 Combine cocoa powder, sugar, and salt in a small sauce pan. Pour in 1/4 cup of almond milk and whisk until mostly smooth and dissolved. Turn heat on medium-low and whisk continuously until sugar is completely dissolved, about 30 seconds. Pour in the remaining almond milk and whisk until combined. Heat until desired temperature. Remove from heat and whisk in vanilla. Serve hot. Enjoy! Paleo mommas, what do think your kids “need” to indulge in? Where do you make allowances in their diet? Sugar? Dairy? How often do you allow treats? For reference, I think I make this once a week in the winter.